You are greeted by the sweet summery warmth of the Caribbeans the moment you get off the plane. 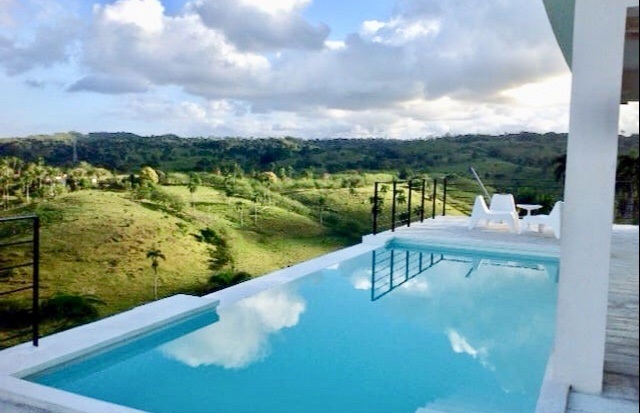 As soon as you are transferred from the airport via a private car to the VALEO villa, you are welcomed by a breathtaking panoramic view of the ocean. This luxury private Caribbean paradise is your home for the next 5 days. 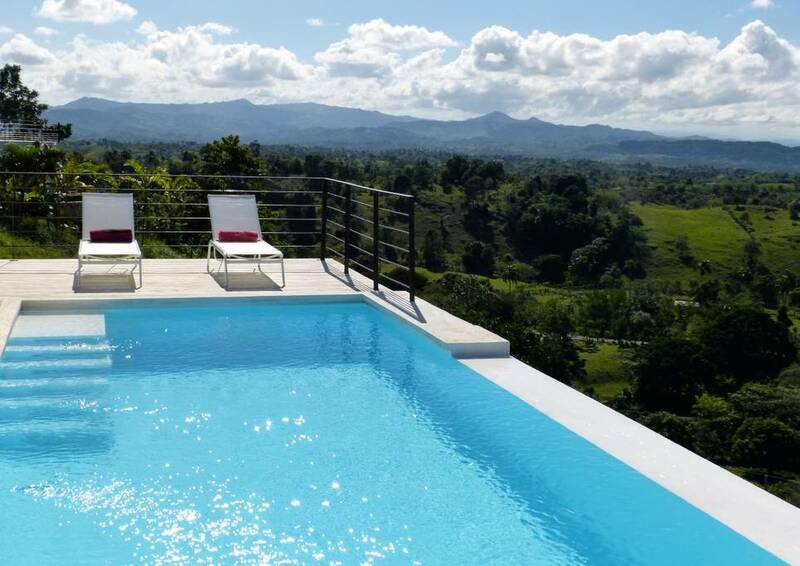 Designed to maximize the spectacular panoramic ocean views, the VALEO villa offers you the best of the Dominican Republic. Set at the heart of a secure and guarded estate, this spacious contemporary vila has floor-to-celing windows, balconies and terrace overlooking the infinity pool with an expansive workout and relaxation area. Listen to the waves roll in and feel the Caribbean breeze first thing in the morning. 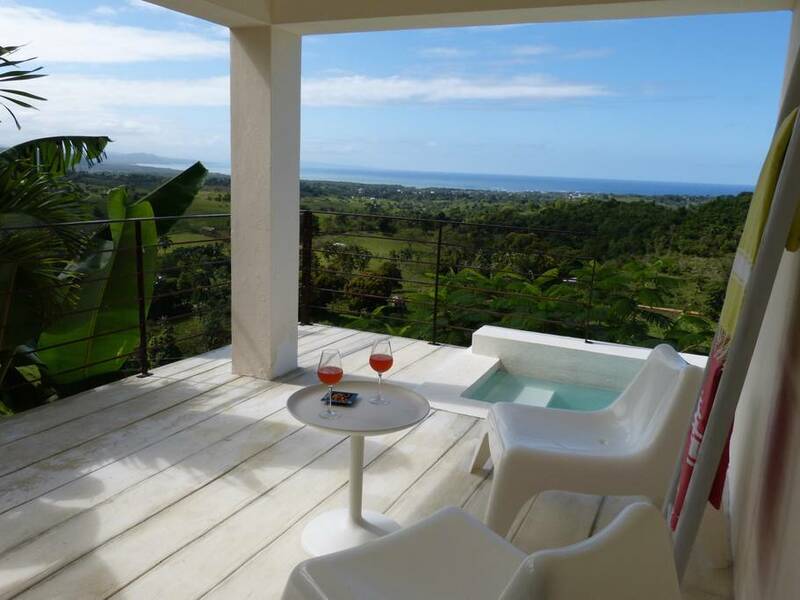 The Valeo villa offers a perfect balance of peace, nature, serenity and activity. 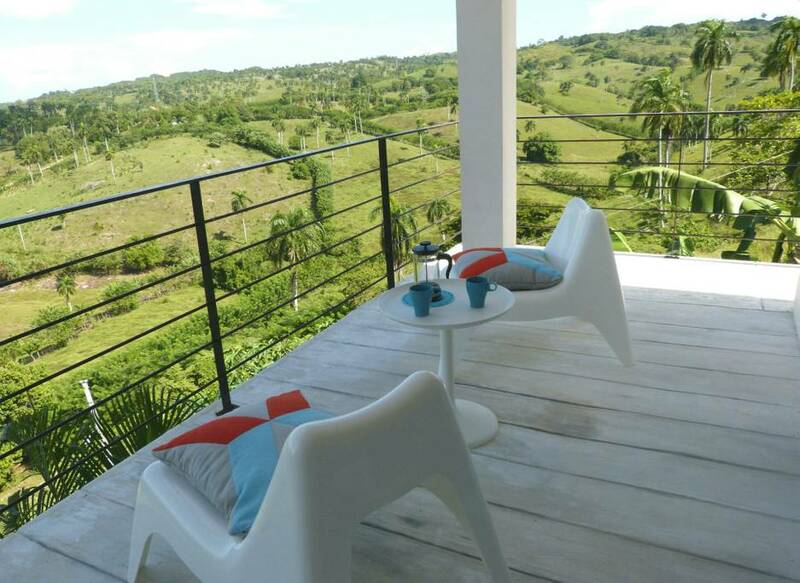 Surrounded by nature, you feel like you are the only people in the Dominican Republic. A beautiful dance fitness workout area looks out over breathtaking panoramic view of the Atlantic Ocean, the mountain range and the surrounding hills. Outdoor spaces are generous : infinity pool, covered terraces, pergola, solarium. Distributed on two levels, all ensuite bedrooms have beautiful views and open onto a large terrace, for unspoiled panoramic ocean and magical sunset views. Featuring excellent bedding, Queen Size beds face breathtaking landscape. You can fall asleep to the sound of the ocean and feel the Caribbean breeze first thing in the morning. You are guaranteed luxurious privacy and 5 days of uninterrupted restful sleep. Each room has its ensuite bathroom of polished concrete, with walk-in shower and private toilets. Small safes are available for passport, papers, jewelry.